Ayurvedic remedies are extremely effective and provide amazing results. The best thing is that they cause minimal or no side effects. One such hair care solution is jojoba oil for hair growth. Though jojoba oil is believed to be a good moisturizer for sensitive skin, it also works exceptionally well for hair growth. It is used by women all around the world to take care of their scalp issues and improve the health of their hair. We have put together the many ways in which jojoba oil promotes hair growth. But before we get into how it works, let’s discuss what it is exactly. Jojoba oil is not actually an oil but a wax ester extracted from a shrub that goes by the scientific name ‘Simmondsia Chinensis’. It grows in the United States. Jojoba oil mimics the natural oil sebum, which is produced in our scalp. It nourishes our hair and follicles and maximizes the rate at which our hair grows. The oil has antifungal properties that help maintain the health of our scalp. It also helps in getting rid of the layer of dead skin, dandruff, and dirt and leaves behind a clean and well-hydrated scalp. What Vitamins Are There In Jojoba Oil? Jojoba oil is rich in Vitamin E, Omega 6 & 9 fatty acids, and a saturated fatty acid called Docosanol that helps battle viral infections. It is also rich in antioxidants that battle free radicals that have adverse effects on the health of our hair. Since our hair is largely made up of proteins, the fatty acid content of jojoba oil makes it ideal to nourish our hair and follicles. The sebum produced by your sebaceous glands coat your scalp and hair, keeping them moisturized. Since the molecular structure of jojoba oil is similar to that of sebum, it takes on the natural oil’s job of keeping our scalp moisturized. This improves the health of the hair follicles and sebaceous glands by fighting their tendency to produce too much or too little sebum. The similar molecular structure that makes jojoba oil readily accepted by our scalp also dissolves sebum and other kinds of build-up that might have been clogging the follicles. It dislodges clogs to cleanse your scalp and keeps it protected from external substances. Jojoba oil’s antimicrobial properties keep your scalp protected from infection and soothe any inflammation. Its high antioxidant content battles free radicals that cause damage to the scalp and hair. It is normal to lose about 100 strands of hair per day, but when the number increases, it is a cause of worry. 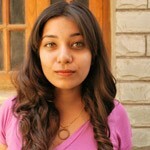 Clogged pores are one of the biggest reasons for hair fall. Jojoba oil dissolves the dirt and buildup and nourishes your follicles and hair shaft, ensuring that the hair grows out healthy. The cuticles that make up the upper layer of your hair shaft rise when they are damaged, leaving your hair vulnerable to moisture loss. Jojoba oil smooths down the cuticle and forms a protective layer on top of your hair shaft, keeping moisture locked in and conditioning your hair in the process. The antimicrobial properties of jojoba oil, combined with its moisturizing nature, conditions your follicles and scalp, keeping them healthy. It soothes your scalp, curbing any irritation or inflammation, and prevents your scalp from flaking. It also relieves conditions of the scalp like eczema and psoriasis, which lead to dandruff. 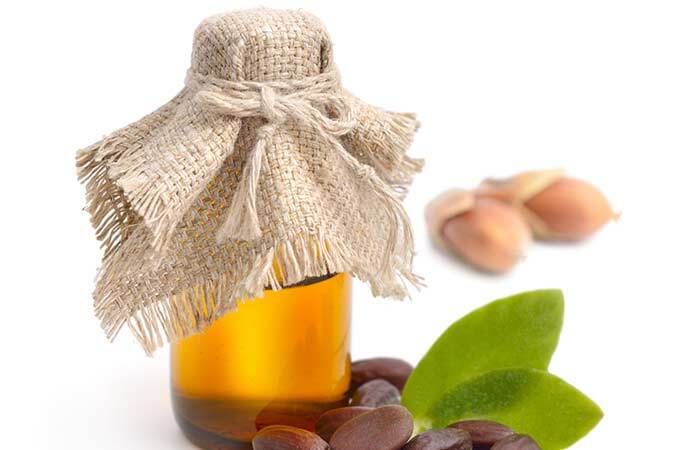 Jojoba oil is the ideal ingredient to use as a hair serum as it calms your hair while not weighing it down. It keeps your hair shiny and smooth throughout the day because of its light weight and non-sticky nature. Conditions like Telogen Effluvium cause your hair to fall out prematurely and force the follicle to go into resting, thereby thinning your hair. The oil stimulates dormant hair follicles, encouraging hair regrowth. This thickens your hair, adding volume. Jojoba oil is an emollient, which means that it fills in the damaged spots in your hair shaft, controlling frizz. Nourishing the hair shaft while filling in damaged spots allows for the repair of any damage. Massaging your scalp with this oil will also encourage blood circulation, ensuring that the follicles receive sufficient nutrition for healthy hair growth. The re-growth from damaged follicles will make your hair thick and luscious in no time. Jojoba oil takes care of hair growth and the well-being of your locks in such a way that you can’t help but make your friends envious of your healthy mane. 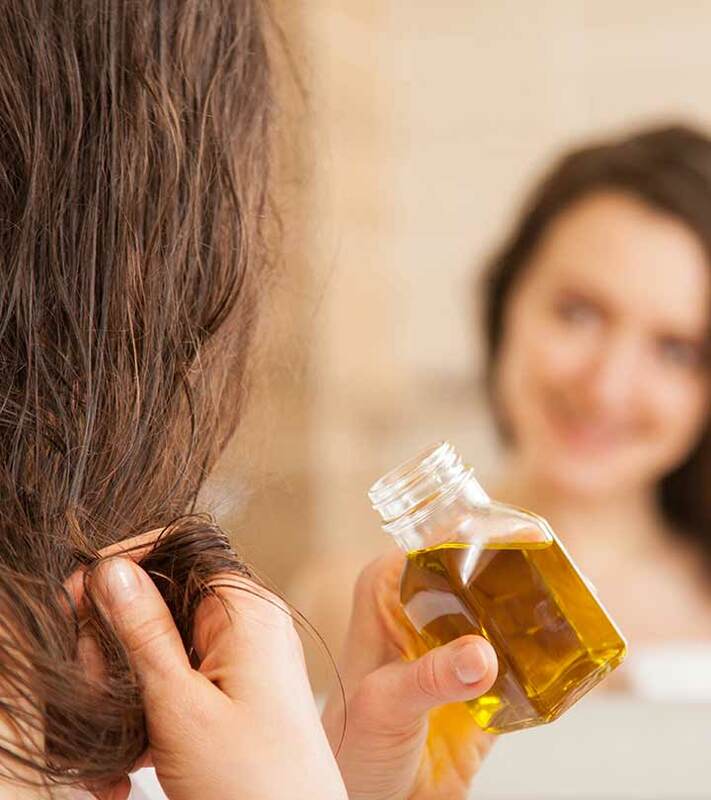 Here are the various ways in which you can use jojoba oil for hair growth. You can use jojoba oil for a regular oil massage. For a hot oil massage for hair fall, you can mix a few drops of jojoba oil with coconut hair oil, olive oil or almond oil. Jojoba oil can also be used as a conditioner since it has moisturizing properties. If your hair is extremely rough, you can rely on jojoba oil to bring back the luster to your hair. You can also mix jojoba oil with your conditioner to include it in your usual hair care routine. Jojoba oil is very helpful when it comes to hair treatments. It acts wonderfully on damaged hair and split ends. 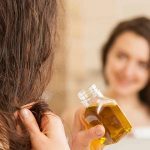 This is the easiest and most common way of incorporating jojoba oil into your hair care routine. It is hassle-free because this method does not need much work. 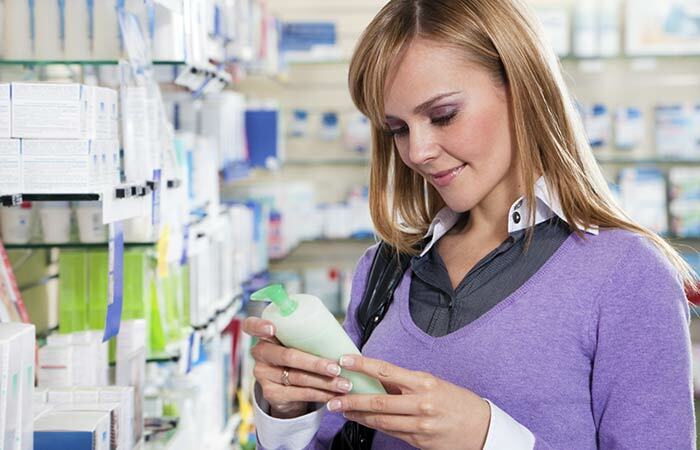 Most shampoo brands have products containing Jojoba oil and a conditioner that pairs up with it. However, if you are hard pressed to find one, you can make your own. To make the shampoo, mix equal parts castile soap and jojoba oil. Finish it off by adding a few drops of your favorite essential oil. To make a leave-in conditioner, simply skip the castile soap and add water. Mix the oils and water well to make an emulsion. Spray this on after shampooing for long-lasting moisturized hair. You can massage your scalp with warm jojoba oil and leave this overnight. Wash it in the morning for clean, moisturized, scalp. Or, you can mix jojoba oil with lavender essential oil and rub all over your scalp. Let it stay for half an hour and wash your hair. After shampooing, if you feel that your scalp is getting drier, take jojoba oil in a small dropper and apply to your scalp. This will help keep the scalp hydrated, but won’t make the hair greasy. Where To Find Jojoba Oil? Being an essential oil, jojoba oil is easily available in the market. If you do not have much luck on the market, schedule a visit with an aromatherapist, and you will find jojoba oil. Apart from such stand-alone bottles, you can also buy products containing jojoba oil as this has become an essential component of most of the hair care products. Check the label to find out the percentage of the oil before buying. Include jojoba oil in your hair care routine to curb hair fall and grow hair that shines with health. Try one of the many methods of using this oil and let it work its magic. Is jojoba oil already a part of your hair care routine? Tell us about your experience with it in the comments section below. Have you heard of the term ‘liquid gold’? Doesn’t it sound rich? As seekers of flawless hair, we love to up our hair care game regularly. Using a regular shampoo is nice, but how about using one that contains argan oil?